The situation in the ATO zone has become complicated throughout this weekend (September 19-20, 2015). Russian-terrorist troops carried out individual fire attacks on the ATO forces’ positions from small automatic weapons, heavy machine guns, 82 mm mortars, and AGS-17 grenade launchers. Enemy sniper activity has been detected in a number of areas. Between the settlements of Luhanske and Myronivske, an enemy infantry group up to a platoon in size (20-25 people) shelled a stronghold of the ATO forces from two directions from the greenery. The positions of the ATO forces to the southwest of Shumy were shelled from heavy machine guns. Militants used 82 mm mortars and small arms in the area of Mar’inka. Fire from small arms was recorded on a stretch between Trokhizbenka and Krymske. Several infantry groups of Russian-terrorist forces, up to 30 people each, moved to the advanced positions in the vicinity of Shchastya. 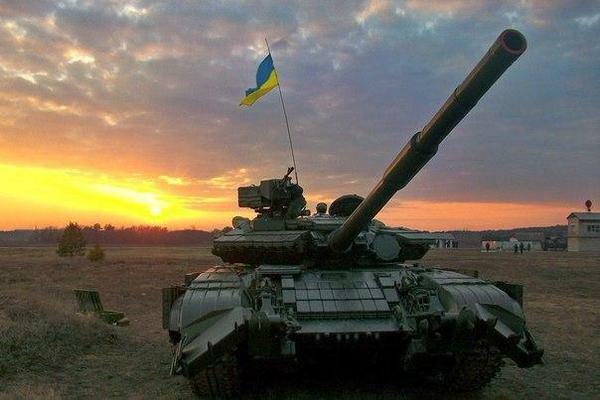 North of Yasynuvata, the transfer of a terrorist tank unit (eight tanks) was detected. An infantry unit of militants moved from the Kyivskyi district of Donetsk northward. The convoy included six military trucks with Zu-23-2 anti-aircraft guns and 82 mm mortars mounted on trailers. Militants continued delivery of ammunition from Starobesheve to the vicinity of Telmanove. During the last 24 hours, the movement of tented army [cargo] trucks with ammunition was observed. The arrival of a self-propelled artillery unit of terrorists (five units of ACS 2S1 “Gvozdika”) was recorded in the area of Lutuhyne. An armored group of militants (two Russian BMP-97 “Vystrel” armored combat vehicles and three BTR-80 APCs), accompanied by an infantry platoon in armored vehicles, moved from Luhansk towards Stanytsia Luhanska. Another trainload with ammunition and equipment from Russia has arrived at the Ilovaisk train station. The command of “Don,” a Russian mercenary battalion (deployed in Luhansk region) received an order “to second” [to transfer] 190 personnel from their number to the territory of the Russian Federation, for further redeployment to Syria. Only the command and the sniper unit from this battalion remain in Donbas. 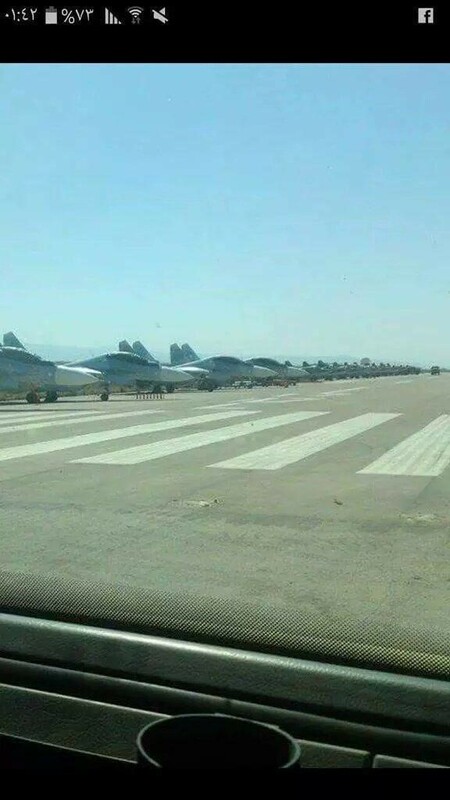 Russian military aircraft, allegedly SU-30, in Syria at al-Assad International Airport. Source: Bellingcat.